When you're ready to enhance your workstation for better ergonomics, bundle and save with the ErgoSuite by Goldtouch. This kit includes a new and improved wired Goldtouch Adjustable V2 Keyboard, Goldtouch Numeric Keypad, Goldtouch Gel Low Stress Mousing Platform, and Goldtouch Individual Gel Wrist Rests. 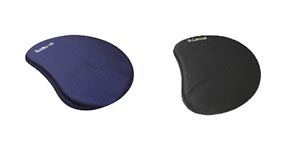 Add an optional wired, wireless, or Bluetooth mouse like the Evoluent Vertical or Goldtouch Ergonomic Mouse for the total computer navigation setup to keep you tasking. It's the complete desk upgrade that will propel you into the new era of computing. 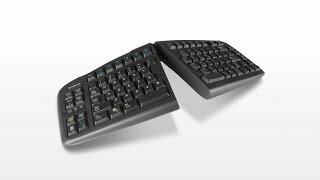 The Goldtouch Ergonomic Keyboard and Mouse Bundle can be customized with an ergonomic mouse to further improve workstation comfort. You can choose from either Evoluent's award-winning Vertical Mouse 4, or the Goldtouch Ergonomic Mouse. Both mice are available in right handed and left handed versions, and a wireless model is also available for each in a right-handed configuration. 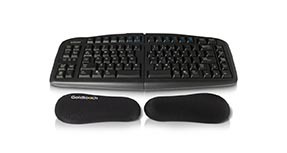 If your computer is not Bluetooth equipped you will need to add the Bluetooth adapter option, which connects to a USB port, in order to use the Goldtouch Ergonomic Mouse, Bluetooth. 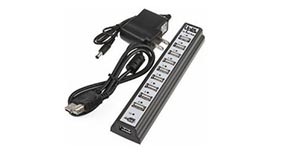 If all your new ergonomic accessories have maxed out your PC's USB ports, add an UPLIFT USB hub to expand your capacity. Saved my wrist. That simple change to the handshake position has really helped me out a ton. It took me about 3 days to adjust, but now I no longer wake up with my right hand numb. It's made a huge difference in my life. So why only 4 stars? Read my review of the keyboard. Don't ever put the Home key next to the Back Space key. Really, don't ever do it. Even touch-typists like myself hit the wrong key and Home is the worst possible key to hit by mistake. Once you do that, you have to grab the mouse and reposition the cursor or find the End key. This is especially bad when you're learning a new keyboard. Also, don't make the tab and backspace keys small. This is extremely frustrating. I understand that the designers were trying to save space on a keyboard that's already losing the 10-key from the mix. But it would have been FAR better to add another row above the Function keys to put Home, End, Page UP and Page Down. (stick the other keys to the far left up there too.) The key choices that were made are especially frustrating for anyone trying to move from a Microsoft Natural Keyboard. And I would expect a huge number of folks would be doing so as that's usually the keyboard that most folks try when they first start having wrist problems. So I can only give the keyboard 2 stars even though the split and tilt adjustments are fabulous. One question: how come the key quality and feel on the 10-key pad are so much nicer than the keyboard? The keypad keys feel like an old IBM spec and are really nice. The keys on the ergo keyboard are good, but not nearly as precision crafted. I'd gladly pay $100 more to get a keyboard with the same quality keys as the keypad. Seriously. $211.00 List Price: $300.85* The list price is the same as the MSRP (Manufacturer's Suggested Retail Price). It may not necessarily be the price at which the product is sold.